Conceptual drawing donated by Herb Hunt and company. 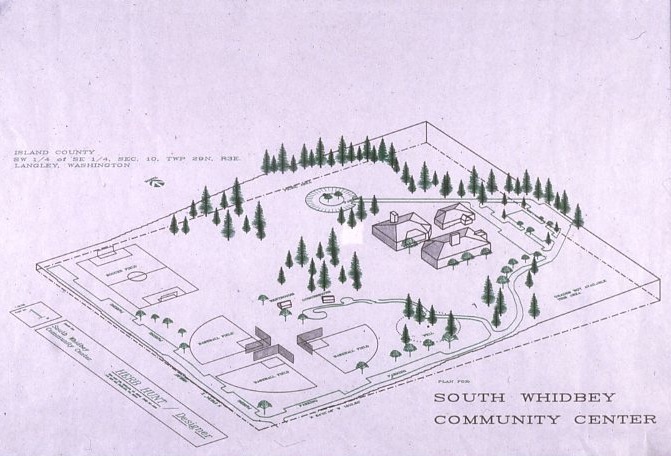 In the Fall of 1978 a small group of community organizers began to lay the groundwork for the development of a community center on South Whidbey Island. This is a record of their activities. Recreation preference survey by the Students of the Recreation and Parks program, Western Washington University, under the direction of Dr. Jim Moore.